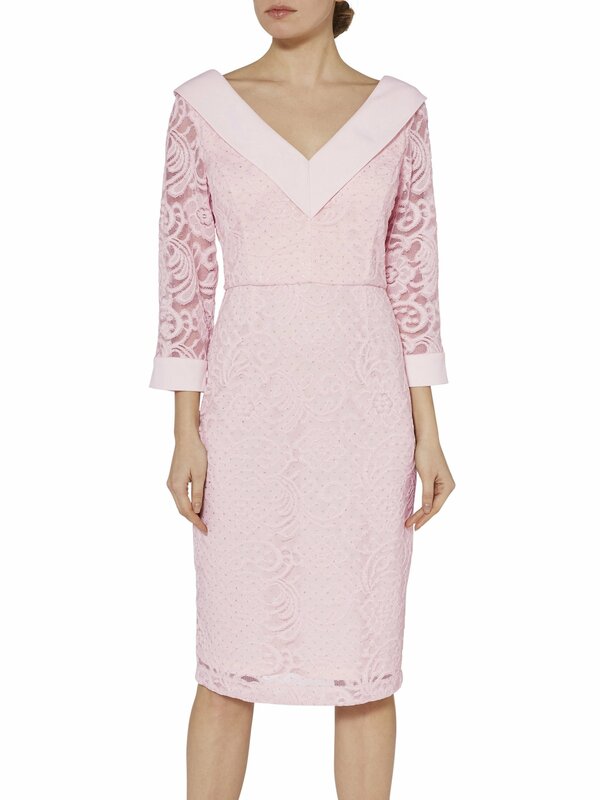 This lace and crepe dress by Gina Bacconi is a classy piece for your occasionwear wardrobe this season. The dress is fashioned from a floral beaded lace to make you stand out. 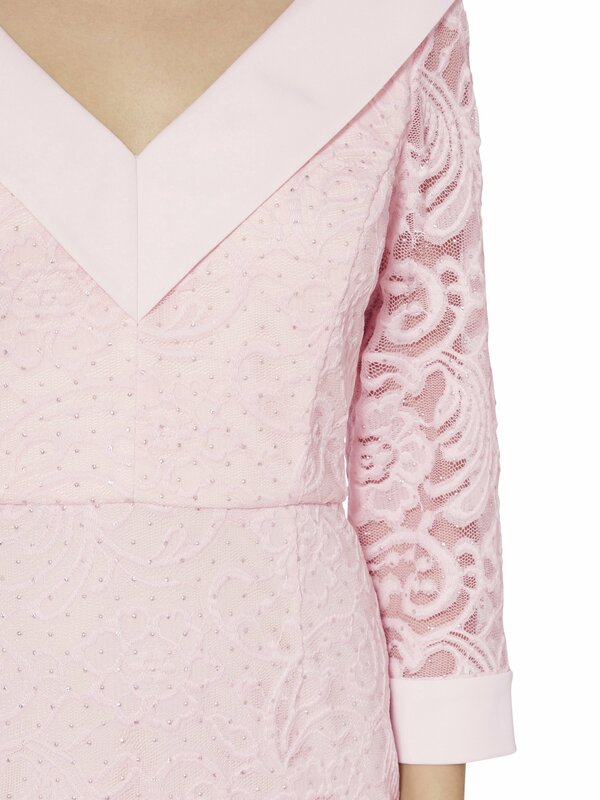 At the neckline and sleeve there is a thick crepe edge for a smart finish. The neck and back are draped into a sumptuous v shape for a classic finish. Fully lined, the dress is fastened using a concealed side zip.